Your body is designed for movement. It is a masterpiece of engineering with bones that can withstand compression forces twice as well as granite, and 600 muscles that permit movement ranging from Olympic athletics to playing the piano and brushing your teeth. Your heart, arteries, veins, intestines, lymphatic circulation, bones, joints, liver and brain depend on vigorous movement in order to function well. Indeed mindbody health depends on physical exercise. Our hunter/gatherer ancestors looked like the professional athletes that we watch on TV. They walked, ran and lifted everyday, sometimes for hours and days at a time. Their fitness program was life and survival. This is the wisdom of the body. In modern times, we “don’t have time to exercise,” and yet we always find time to be sick. Our ancestors died of infections and trauma, while we succumb to cancer, heart disease, and diabetes, all of which are prevented by exercise. If you are over the age of fifty and have not exercised vigorously in the past, you should check with your doctor and possibly have a treadmill stress test before starting exercise training. Anyone with a history of heart disease should definitely see a doctor before fitness training of any type. 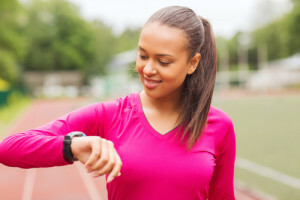 The American College of Sports Medicine (ACSM) recommends aerobic exercise sessions of fifteen to sixty minutes a day, three to five days a week. The intensity of exercise can be governed by your training heart rate. The easiest way to compute this is to subtract your age from 220 – that’s your maximum heart rate – then take 60 percent and 80 percent of that number. The results are the upper and lower end of your target heart rate zone: while you exercise, your heart rate per minute should fall somewhere between these two numbers. Regular exercise on the mini-trampoline, or rebounder, offers more benefit to your health than any other exercise, including jogging, swimming, walking and bicycling. According to NASA research scientists, rebounding is 68% more efficient than jogging. How can bouncing on this small trampoline about one yard across and 8 “high do so much? It is because gravity, or “G force” is used to your advantage, especially at the cellular level. You are weightless at the top of a bounce and then your body is feeling several G forces at the moment of hitting the trampoline and rebounding up again. During that moment of high G forces the muscles and bones of your body exert as if carrying heavy weights, but only for a fraction of a second. As you bounce you are getting the benefits of weight lifting without the risk of straining muscles, and, your heart and lungs are providing you with aerobic, oxygenating, exercise. However, the most important benefit of rebounding occurs at the cellular level due to the effects of gravity on the movement of the lymph. The lymphatic circulation is the detoxifying system throughout your body, but this flow does not have a pump like your blood circulation. 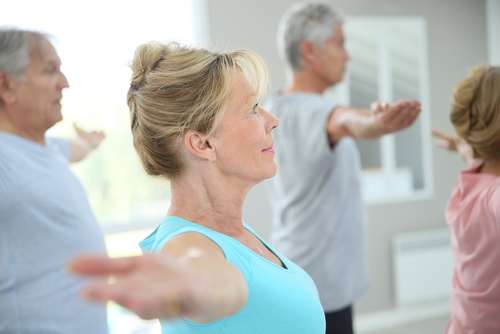 Exercise and deep breathing are the only ways to move the lymph and remove toxins from the cellular environment. The high G forces of rebounding provide the best exercise for improved lymphatic flow. Stagnant lymphatic flow is a prime condition for many chronic diseases. It is found in many people due to sedentary lifestyles and shallow, unconscious breathing. Lymph congestion is associated with acidic conditions at the cellular level which in turn increases levels of viruses, bacteria and other pathogens and reduces oxygen levels. Low tissue oxygen is a prime factor in the development of cancer, as primitive cancer cells are fermentative and can only grow in oxygen deprived regions of the body. 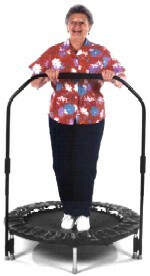 Elderly people can purchase a rebounder with a stabilizing bar to improve safety while exercising. As with any exercise program, you should check with your doctor before starting to make sure your heart and lungs will tolerate the program. I recommend the following link for more information and a look at the best rebounder on the market.